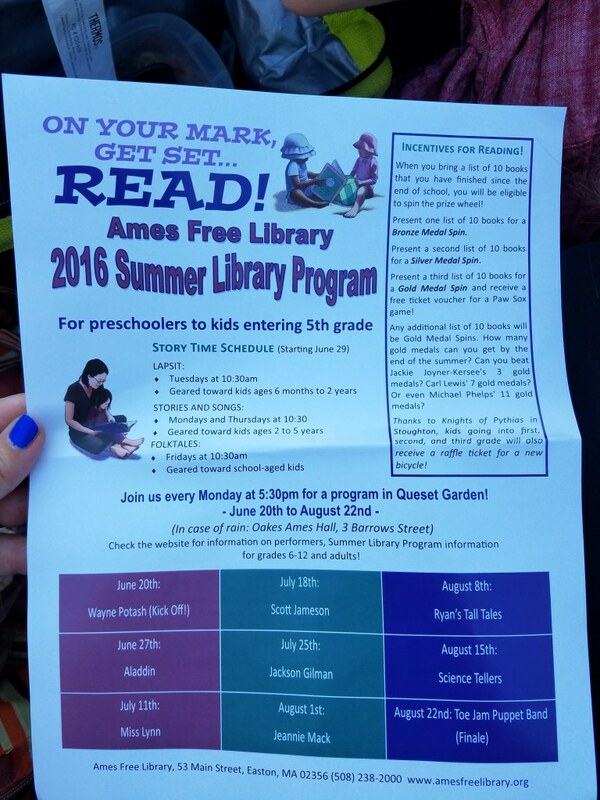 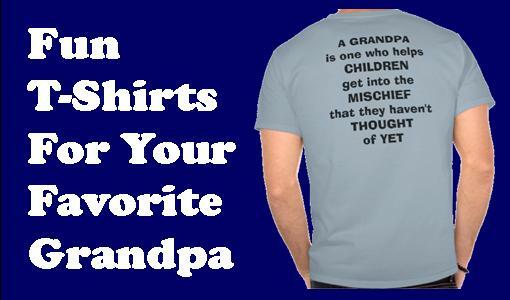 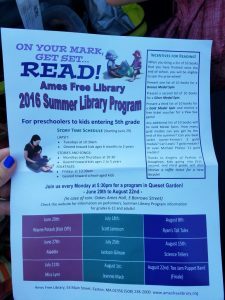 My kids and I frequent the Ames Free Library in Easton. 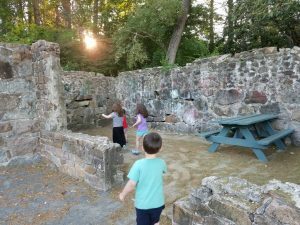 It is a beautiful old structure with great events, storytimes for kids and resources. Behind the library though is a real treasure. 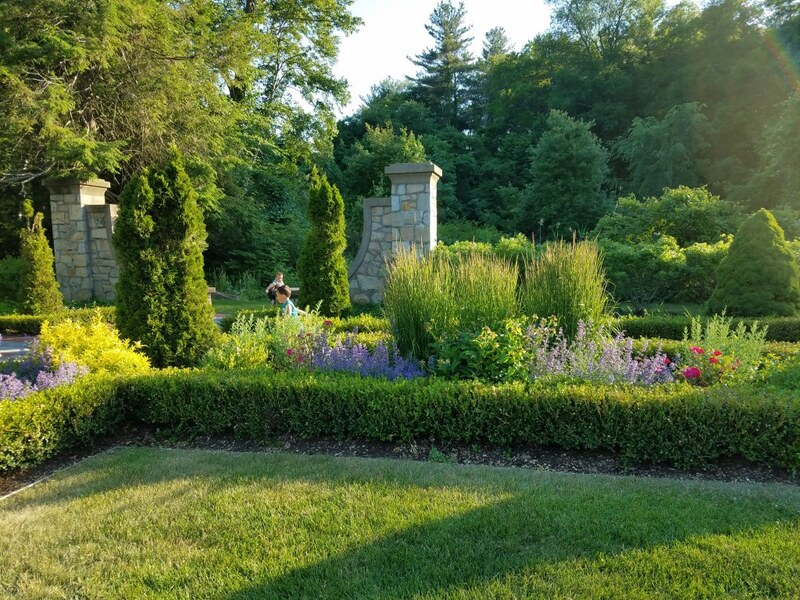 Just past the parking lot, you’ll find a beautiful Italianate style garden. 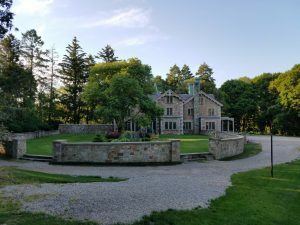 “In the early part of the century, in our little nook of the world, noted Broadway producer and playwright Winthrop Ames was inspired to reorder five acres of wooded space adjoining his charming stone mansion. This was manicured into an elaborate Italianate style garden, replete with ten foot stone columns to mark the entrance, a reflecting pool with fountains and statuary, symmetrical semicircular stone stairs, elegant moon-gates, terraced land, ornate balustrades, and the unique addition of a stage with pergola that reflected Winthrop’s professional interests. 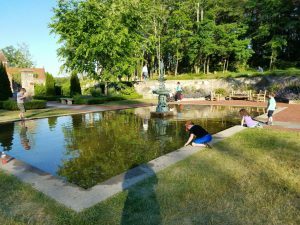 It took five hardworking gardeners to maintain this little oasis of calm and beauty. 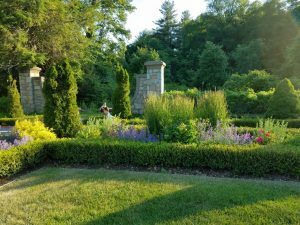 The garden was restored in 2011 and now provides a beautiful setting for all to enjoy. 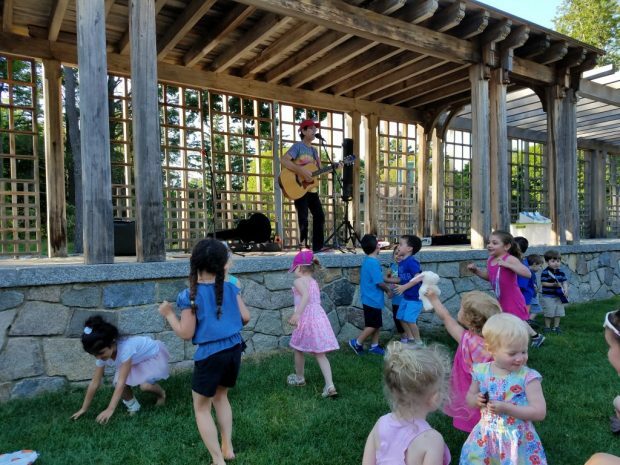 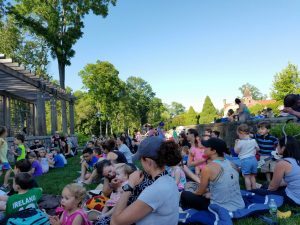 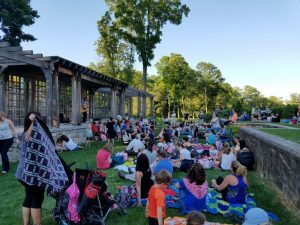 We recently attended a children’s concert at the garden and the kids had a blast running around afterwards exploring the place. 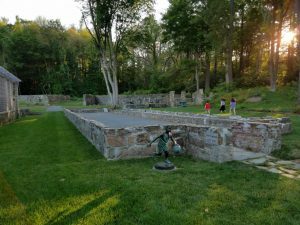 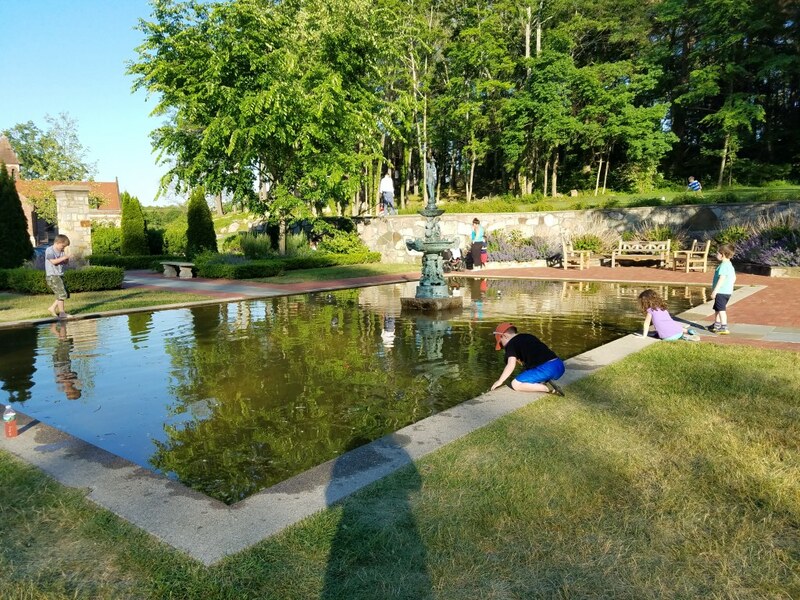 Tadpoles in the reflecting pond, koi in another area, a bocce ball court, and brick ruins create a magical area for children’s imaginations.